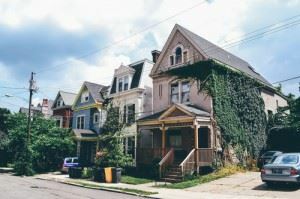 In the not so distant past, renting dumpsters in Cincinnati was a prerequisite when renovating a home, clearing out a junk-filled garage or basement, or landscaping the garden. However, nowadays, hiring a junk removal company is another easy way to dispose of waste efficiently. Instead of having a dumpster placed on your driveway for up to a week, you can let the professionals retrieve your trash in the space of a day and do all the heavy lifting on your behalf. Furthermore, provided you choose a reputable junk removal company, you can feel confident they will recycle a significant portion of your waste. From the information above, it would appear that calling a junk removal company is far more convenient than renting a dumpster, but that’s not always the case. For example, a waste retrieval company will usually only visit your premises once to take all your junk in one go, which isn’t ideal if you’re gradually generating trash as you renovate your property. Below, this article compares the two methods of waste disposal so that you can decide which is the most appropriate for your needs. While calling a waste retrieval company can be more convenient than renting dumpsters in Cincinnati in many situations, it’s not always the wisest choice, especially if you need to get rid of waste gradually. Here are the main benefits and drawbacks of the service in question. A junk removal company will load their van with your waste without you having to lift a finger, which could come in useful if you’re busy focusing on renovating. All you need to do is pick up the phone, arrange a time for the professionals to visit and then sit back and wait for them to arrive. Some companies are more than happy to visit your property on an evening or a weekend if required. When you rent a dumpster, it’s important to include the permit fees into the total cost of rental so that you can make an informed decision on whether it’s more affordable than hiring a junk removal company. However, at least with a waste retrieval service, you won’t have to worry about obtaining permits or complying with the law because you don’t need to park a dumpster on the road. In some situations, hiring junk removal professionals is more cost-effective than Cincinnati dumpster rental. Provided you hire a junk removal company that prioritizes green initiatives, you can feel confident that you’ll be doing your part for the environment without having to do any hard work. The professionals will take your waste to their dedicated sorting facility where they will separate the trash from the salvageable items, and a company such as Junk King aims to recycle at least 60 percent of what it collects, a target it beats most of the time. While hiring a waste retrieval company eliminates the need for you to do any heavy lifting, it does mean that you need to have all your junk in one place for the professionals to retrieve in the space of a day. If you want to get rid of everything that’s taking up room in your basement needlessly, hiring a junk removal company is the way to go. On the other hand, if you’re revamping your home and producing waste as you go, you might be better off renting a dumpster that you can fill gradually. Even though you don’t need to pay for a permit to hire a junk removal company, you do have to bear the costs of labor in mind. If you have too much waste for one truck, you’ll likely have to pay double for the professionals to retrieve an additional load. Plus, a junk removal company may charge more for certain types of trash. If you rent a dumpster, you can choose the required size and keep it as long as required, and the price usually depends on the capacity of the dumpster rather than what you put in it. Even though a junk removal company will do all the hard work for you regarding waste disposal, dumpster rental will always have its place in the market. Remember the following pros and cons, and you will be able to choose the most appropriate waste disposal method for your requirements. When you hire a junk removal company, you need to have all your waste collected on the same day. However, by renting a dumpster, you can fill it gradually with the garbage you produce while renovating your home. Sometimes, dumpster rentals offer much more convenience than a junk removal company ever could. If you have too much waste for a junk removal company to retrieve in one go, you will likely need to rent a dumpster. Fortunately, dumpsters come in a range of sizes to ensure you can pick one that can accommodate all your trash comfortably. If you have up to 12 cubic yards’ worth of garbage, you’ll likely need a Mini dumpster. As mentioned above, you may be subject to higher fees for oddly shaped items or construction debris if you hire a junk removal service. However, with dumpster rental, you pay for the size of container you need and the duration of time you need it. Some companies, such as Junk King, only charge for the amount of dumpster space you use. If you need a dumpster that’s too large to sit in your driveway, you will almost certainly need to pay for a permit which allows you to take up space usually reserved for pedestrians and cars. Of course, if you just need a mini dumpster to sit anywhere on your private property, you won’t need to obtain any permits (unless they’re required for construction purposes). It’s not just permits you need to worry about when renting a dumpster – you also need to familiarize yourself with the local council rules regarding its placement. In most areas of Cincinnati, you need to have ample space between the dumpster and the next turn in the road for safety reasons, and you can’t position it in front of anybody else’s property. Failure to comply with the law will result in penalties, so it’s worth contacting your local council if you have any questions. As you can probably tell after digesting the information detailed above, there is no clear-cut winner in the battle between dumpster rental and junk removal companies. It all depends on why you need to dispose of waste, how much work you want to put into the disposal, and whether you need the flexibility to gradually fill a dumpster as you produce waste while revamping your home. However, regardless of which method works best for you, you should be diligent when searching for a company. This entry was posted in Uncategorized and tagged Cincinnati Junk Hauling, Cincinnati Junk Recycling, Cincinnati Mattress Removal, Junk King on July 25, 2017 by Julian Torres, "JT". Last updated April 11, 2018 .